Every teen is asking nowadays “What is the best bodybuilding supplement?” And they all know about creatine supplements and protein powders, or human growth hormone, anabolic supplements and testosterone support stacks. If all these are used correctly and in combination with effective workouts and proper diet, all of them can significantly increase the pace at which you build muscle and sport performance. 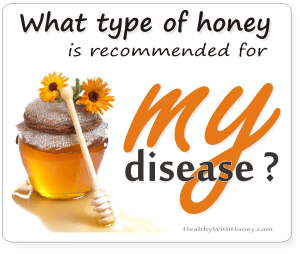 But how many of them, or of us actually, know about royal jelly? You probably heard of it: it’s the bee milk used to feed the bees’ eggs for the first 3 days, and then the queen for all its life. A food that turns a regular bee into a queen. Something related to fertility and femininity. But things don’t stop here. Do you know that this food also contains testosterone? 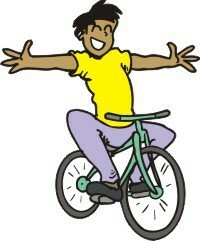 And everything needed to support great health and to boost your energy? Some say it enhances performance because of its B-complex vitamins such as vitamin B5 (pantothenic acid) and vitamin B6 (pyridoxine). Others say it is due to its 22 amino acids and high concentrations of proteins. Whatever the reasons people believe in, royal jelly is not only taken as an ordinary supplement, but it is actually considered by many athletes an excellent health food that can enhance performance. See here the composition of royal jelly. Scientists have started to research the royal jelly’s ability to support sportsmen performance. And so, medical studies followed. 1. Highly trained sportsmen have participated in a test involving the product called Ap-iton 25. The tests were carried out at the beginning of a 21 days series, and after the series ended. They took 4 royal jelly pills sublingual, daily. A total amount of 1.2 g dry royal jelly daily. The sportsmen were loaded and tested in a treadmill, until they rejected a further increase of the load. The endurance of the sportsmen who took royal jelly supplement was significantly better than of placebo, after 10 and 21 day of the test. And remained significant 5 days after the supplementation with royal jelly was stopped. In the sports world it is well known that in physical performance the endurance decreases because of the increase of blood lipid hydroperoxides. Royal jelly inhibits the building of lipid peroxidation and thus the higher endurance. It is also well known that the immunity decreases too, upon persistent physical strain. It means a decrease in the immunoglobulins IgA, IgG and IgM. When these parameters were tested, compared tot the initial values, IgA concentration was higher, and IgG and IgM were not significantly changed. The numbers of leukocytes, lymphocytes, T-lymphocytes, T-helpers and T-suppressors in the blood were significantly higher after 21 days, than compared to the initial values. This preparation is sold in Russia and it is accepted as a sport supplement by the Russian Antidoping Agency. 2. 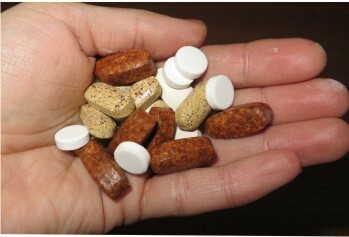 On ncbi.nlm.nih.gov we can also find the following: Nanotechnologically manufactured biologically active substances Apiton-25 (containing apis products) and Microhydrin (containing SiO 2 nanoparticles, silicon hydrogen bonds Si-H, and free negative charges for free radical neutralization) have been studied. The results indicate that both Apiton-25 and Microhydrin upon peroral administration enhance the cyclic trial performance during prolonged submaximal exercise in endurance-trained cyclists. 3. A 45% ethanol solution with 2.4 g native royal jelly in 100 ml was tested in a sport performance of 17-20 year old females. They took 10 drops (100mg royal jelly) 3 times per day. The scientists measured their body mass, performance of Stange’s breath holding test, viso-motoric reactions, hanging on the bars, 30 m run with maximal speed and a measured of heart rate afterwards. Then a 5 minute step test on a step height of 30 cm, 30 climbs per minute followed by a 5 minute test. Conclusion? There was a significant increase of the reaction of the organism to hypoxia = condition in which the body is deprived of adequate oxygen supply (as measured by the Stage’s test) and an improvement of the visual-motoric reaction. 4. 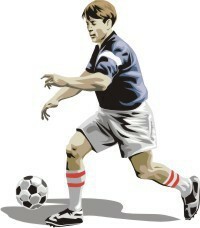 Another test was made on young football players, measuring 13 morphological characteristics. The group that took an intake of royal jelly had significant increase of body weight and muscle components, and also a decrease of fat. There was a significant increase in circumference above knee and circumference of lower leg. Royal jelly contains testosterone. 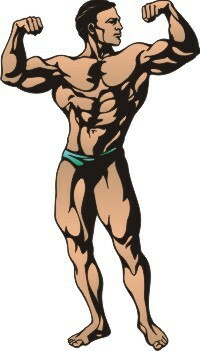 Supplementation with royal jelly can enhance testicular testosterone production. A sportsman knows what more testosterone means. 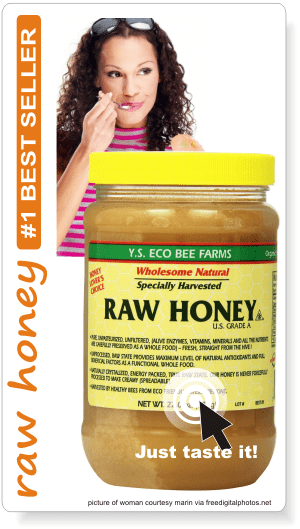 Take supplements with royal jelly! The old beekeepers have always known its good effects, and now, science has proved them right. 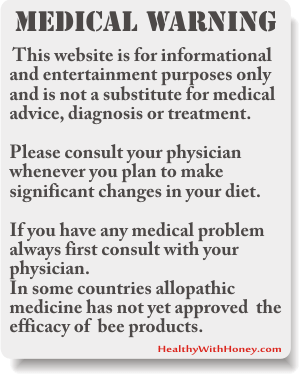 if you cannot find supplements containing royal jelly, you may try taking it alone. Here is how to take it and for how long: What is royal jelly good for and how to take it. Here is my recommendation: Durham’s Royal Jelly 500 mg (120 capsules) The royal jelly comes from Durham’s Bee Farm, US. One capsule contains 500 mg freeze dried royal jelly – the best form of preserving all nutrients. 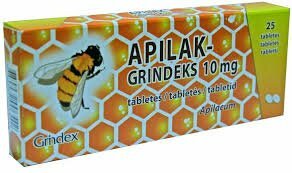 Apilak is a product made in Latvia, by Grindeks SA. It contains 10 mg of royal jelly, lactose, potato starch and calcium stearate. It boosts energy, eliminates chronic fatigue, stimulates resistance and defense of the body, slows down ageing processes, improves mental health. The manufacturer also warns us about its side effects, or counter-indications (not recommended in Addison disease or bee products allergy). The dosage is written on the pills’ box, but remember to always take the pills sublingually, and not swallow them, because the gastric acid digests royal jelly. Read here more about the use of Apilak in sport medicine. from Amazon.com: Apilak таблетки подъязычные “апилак” 10 мг. Here is a good book on all products of the hive, that also brings some serious light on the benefits of royal jelly. It’s $6.19 in a kindle version. 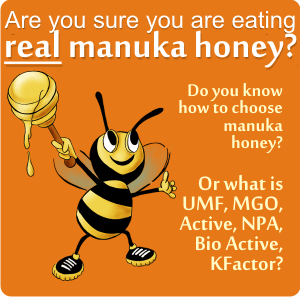 User’s Guide to Propolis, Royal Jelly, Honey, & Bee Pollen.
! Remember not to take royal jelly supplements if you have a high incidence of allergy, bee and pollen allergy or asthma. Test yourself for an eventual allergy. Talk to your medical doctor first. Royal jelly is a great toner! 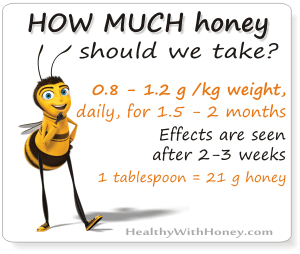 However, I prefer to buy it with honey (as it is a best natural conserving substance for royal jelly) or pure one in a frozen form to keep in a fridge. Apilak is in a dried form and have not so many active components as a fresh royal jelly.